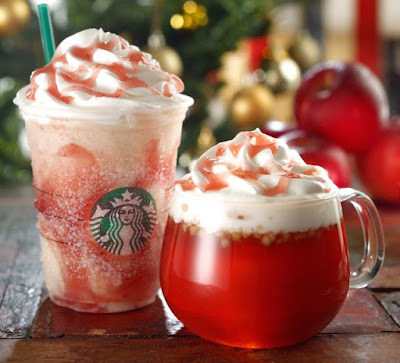 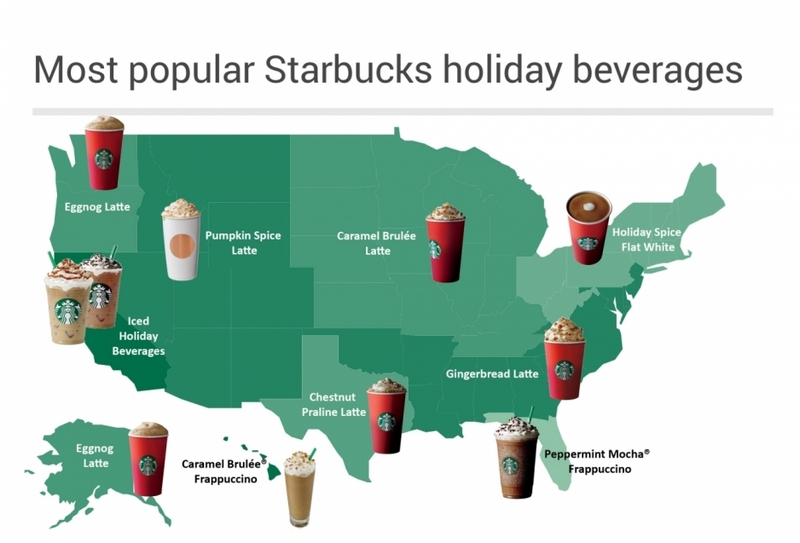 Starbucks Reveals 2015's Top Holiday Drinks in the U.S.
Starbucks has revealed their top holiday drinks for 2015 regionally in the U.S. and there's some pretty interesting tidbits such as iced holiday beverages being the number one choice here in California where the holidays have been somewhat summer-ish. 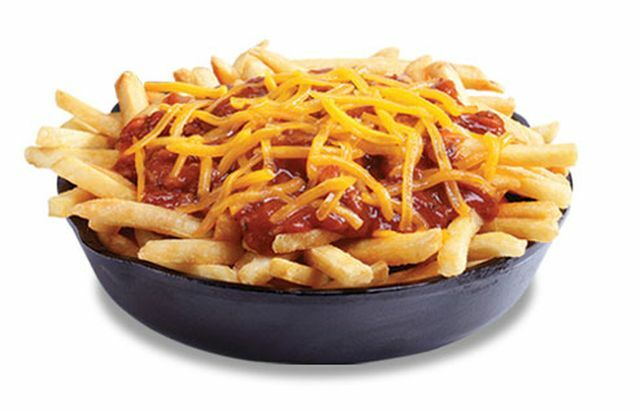 Wienerschnitzel plans to welcome the new year by offering their Chili Cheese Fries for 99 cents all day on Friday, January 1, 2015. Papa John's finishes up the year with the introduction of the new Brookie, a combination of brownie and cookie. Taco Bell's Sriracha Chicken Crunchwrap Slider features the chain's version of Sriracha sauce, shredded chicken, and Fritos Corn Chips, wrapped hexagonally in a flour tortilla and grilled. 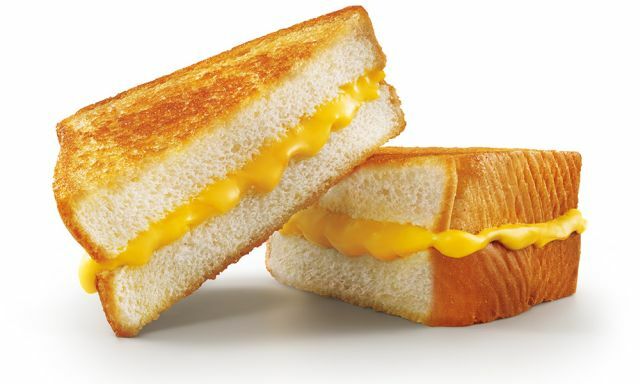 Sonic will be offering their Grilled Cheese sandwiches for 50 cents all day on December 30, 2015 at participating locations. 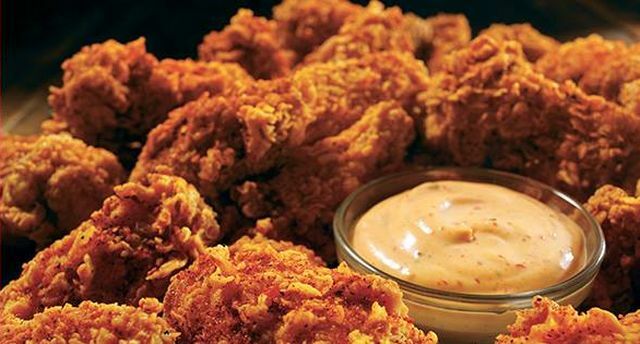 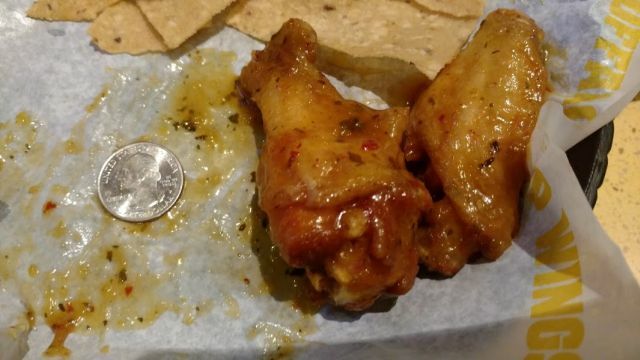 Popeyes introduces new Spice Packed Wings featuring fried chicken wings tossed in a dry seasoning blend. 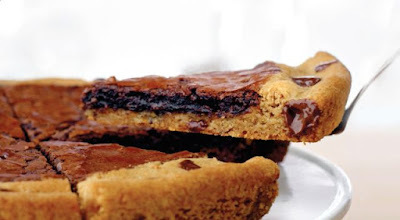 Little Debbie Peanut Butter Creme Pies feature peanut butter creme filling sandwiched by two peanut butter cookies. 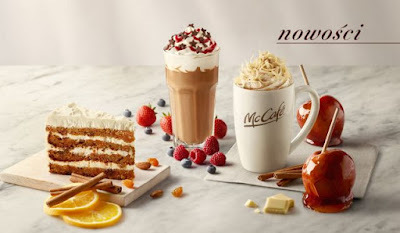 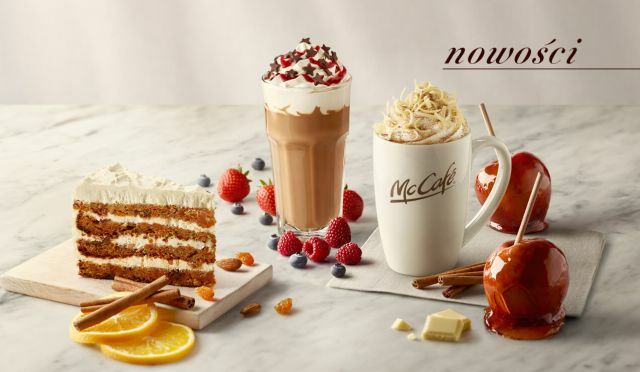 McDonald's welcomes the winter in Poland with the new Apple Pie Latte topped with white chocolate shavings as part of their McCafe menu. 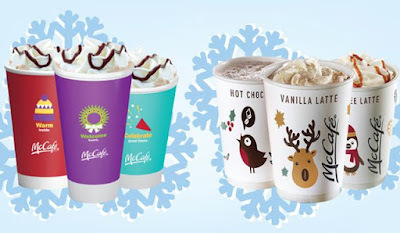 A Comparison of McDonald's Holiday Cups: U.S. vs. U.K.
McDonald's gets in the holiday spirit with festive McCafe cups for the U.S. and U.K. markets. 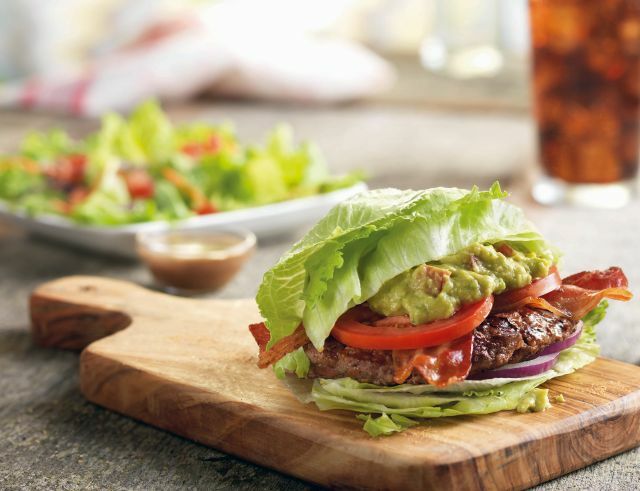 Arby's Fiery Steak Fajita Flatbread features sliced Angus beef with Fajita seasoning, Ghost Pepper Avocado sauce, a slice of Colby cheese, red and yellow peppers, red onion, shredded iceberg lettuce, and tomatoes folded inside of a pita. 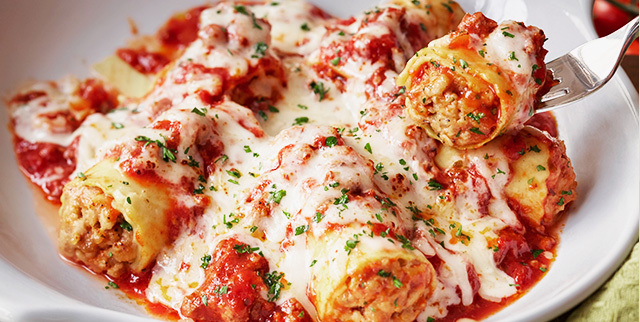 Olive Garden's most recent limited-time promotion features new FlavorFilled Pastas featuring various extra-stuffed pasta including Sausage Stuffed Giant Rigatoni. 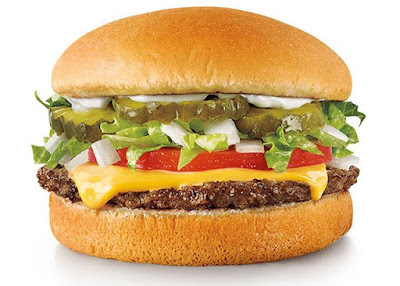 Sonic will be offering their Jr. Deluxe Cheeseburgers at a discounted rate of 79 cents all day this Wednesday, December 23, 2015. 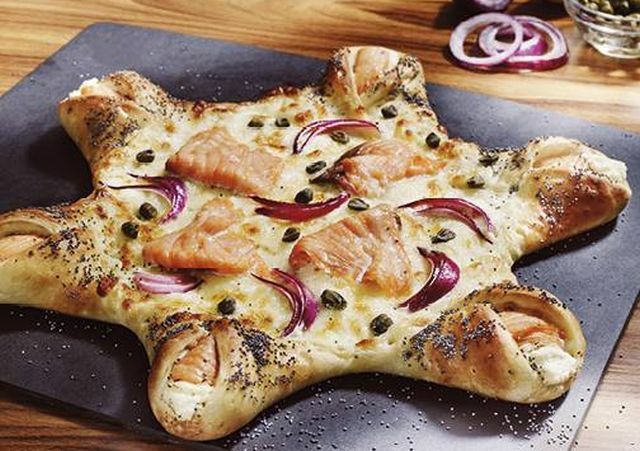 Calling it the "Nordic Star," Pizza Hut Luxembourg offers a new, limited-time, star-shaped pizza topped with cream cheese and smoked salmon, something you'd normally find on a bagel, at least here in the U.S.
McDonald's has been quietly rolling out their new Mozzarella Sticks this month. 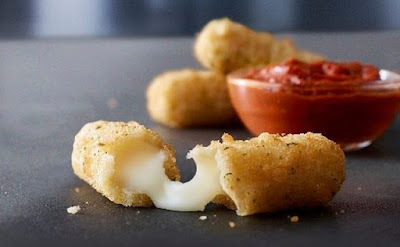 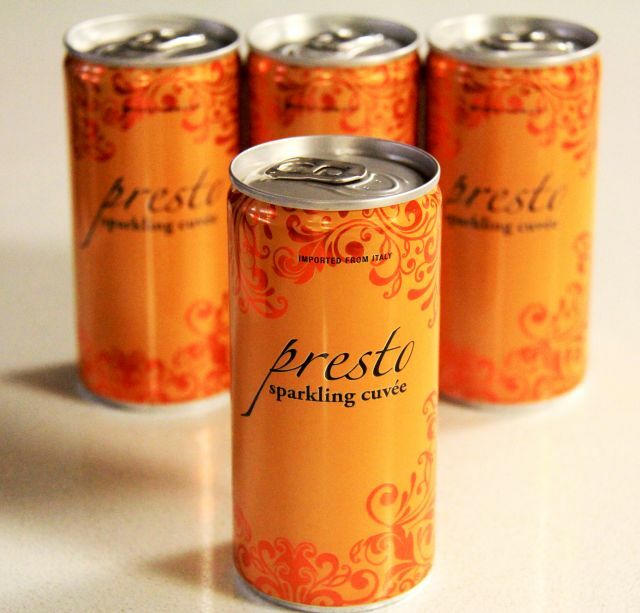 The new side comes in orders of three for a buck (may vary), with marinara sauce for dipping. 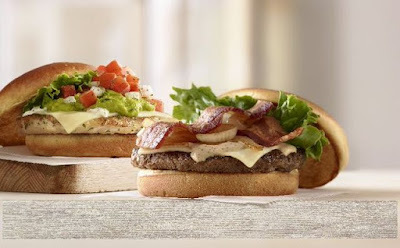 $1 Crunchwrap Sliders at back at Taco Bell for a limited time starting Tuesday, December 22, 2015. 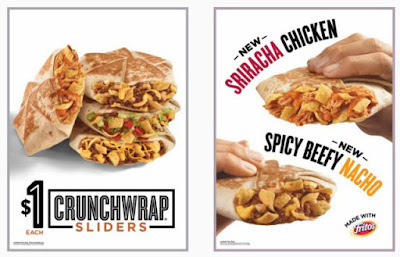 New this time around are the Sriracha Chicken Crunchwrap Slider and the Spicy Beefy Nacho Crunchwrap Slider. 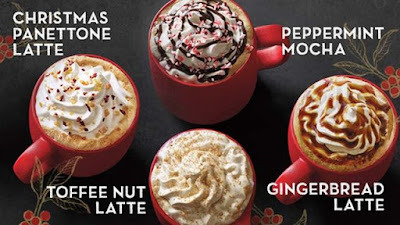 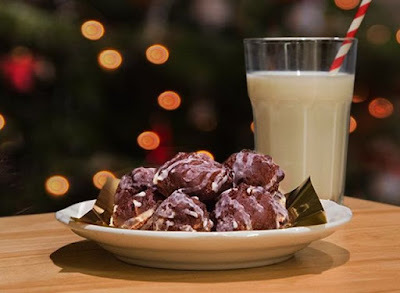 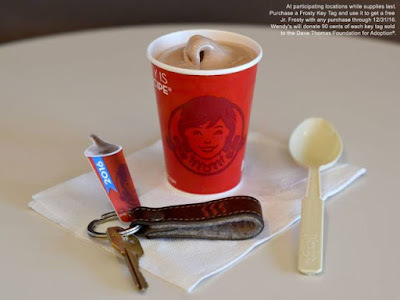 The folks at Jack in the Box have suggested a number of menu item mash-ups for their holiday-themed Peppermint Oreo Shake that I thought I'd share with you guys. 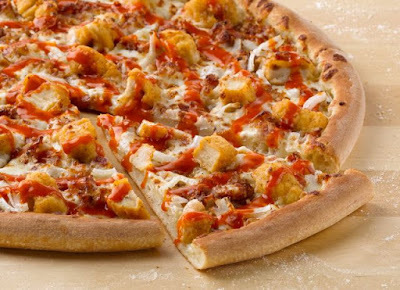 Papa John's has committed to making sure all of their grilled chicken pizza toppings and chicken poppers will come from chickens that are raised without human and animal antibiotics by next summer (2016). 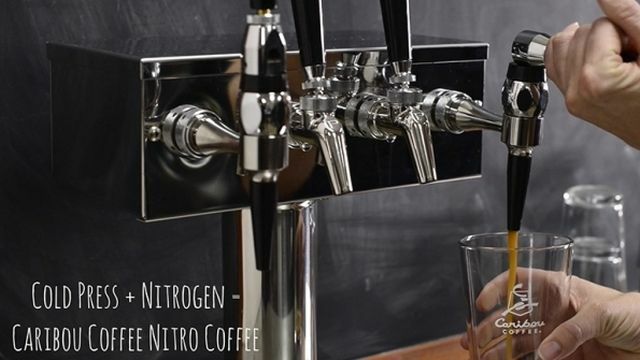 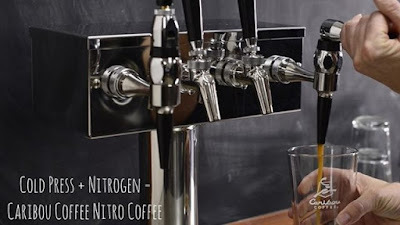 Caribou Coffee is testing nitro coffee, a slightly bubbly, cold-brewed coffee with a creamy Guinness beer-like head of foam due to an infusion of nitrogen as its poured. 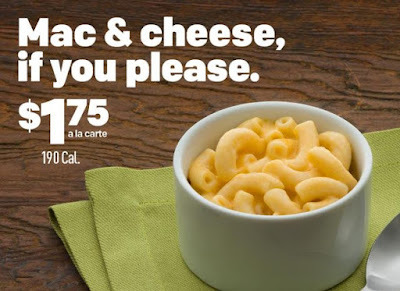 McDonald's is trying out new Mac & Cheese out in Ohio. 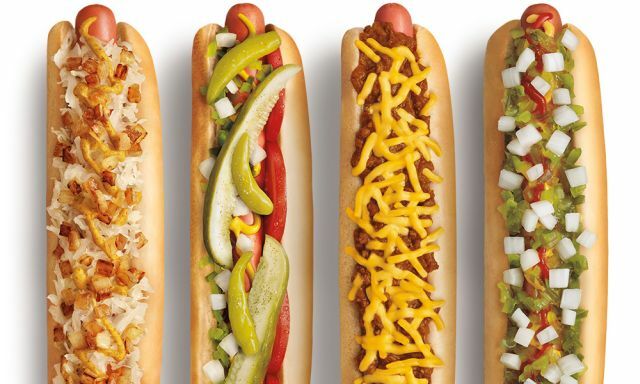 Sonic will be selling their Footlong Hot Dogs for half-off the regular price all day on December 17, 2015. 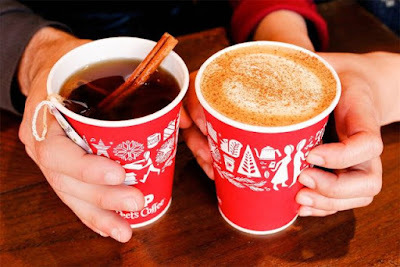 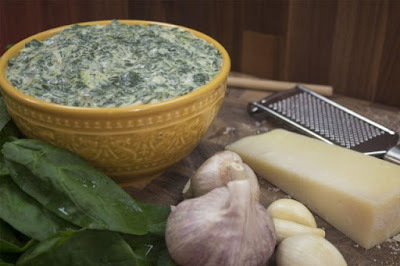 The deal celebrates the Winter Solstice (AKA the longest night of the year). 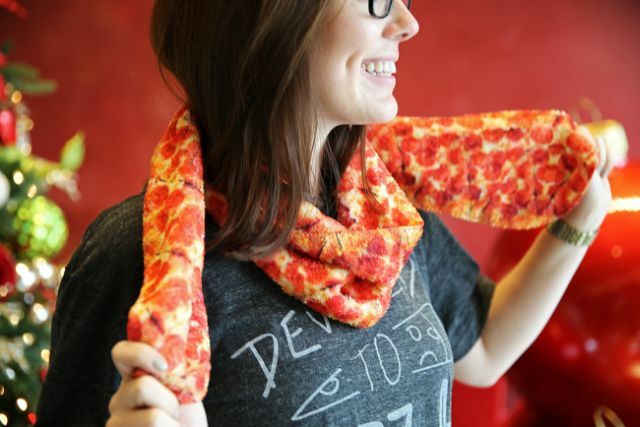 For their fans, Pizza Hut recently opened a new online swag shop and, among the more interesting branded apparel and knick knacks, you can get a pepperoni pizza scarf. 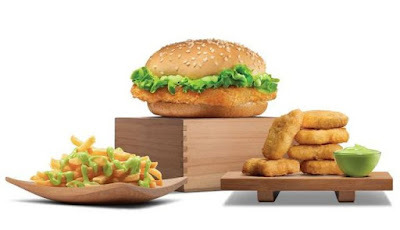 In a new promotion, Burger King Singapore is giving behind-the-counter kitchen tours to customers where they will also build their own burgers. 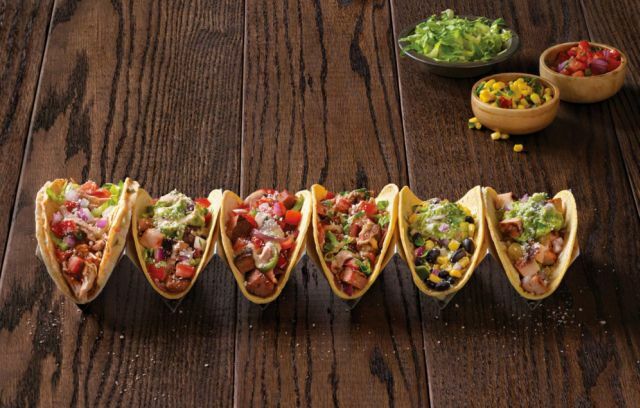 Del Taco's Epic Carne Asada Burrito features their new grilled carne asada, slow-cooked beans, fresca lime rice, guacamole, and pico de gallo, wrapped in a warm, large flour tortilla. If red equals festive, Church's Chicken gives a festive take to last year's Oreo Biscuit Bites with new Red Velvet Oreo Biscuit Bites. Peet's is offering a 50% discount on all holiday beverages after noon (12 PM) until December 23, 2015 at participating locations. 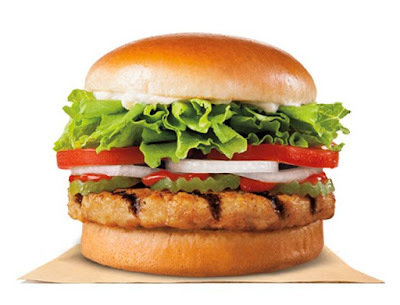 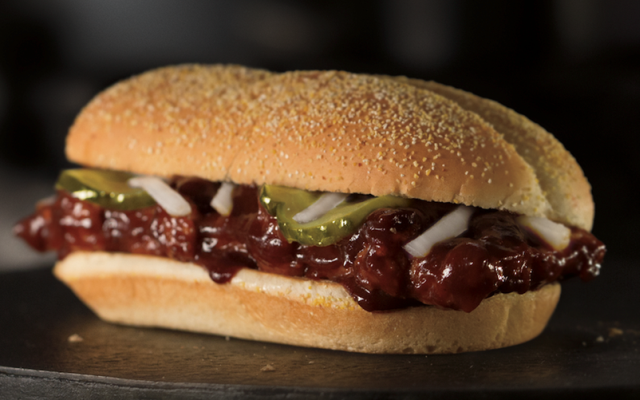 It's once again McRib season at McDonald's, but only in select markets. 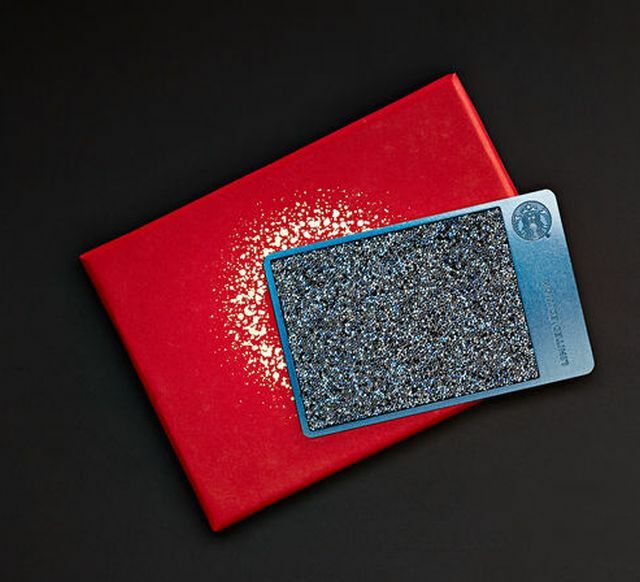 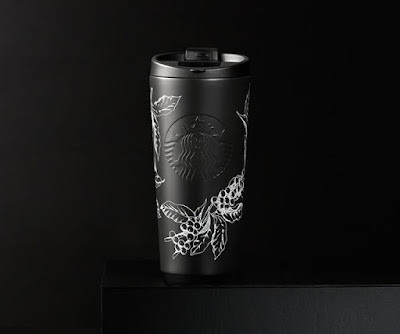 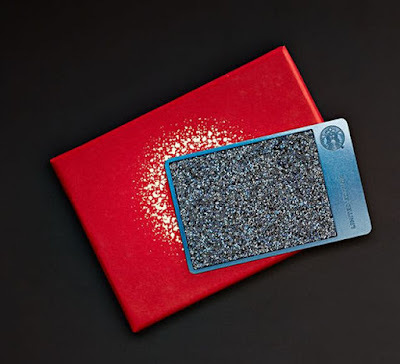 Continuing their tradition of offering gifts for the more luxury-inclined around Christmas, Starbucks is offering a limited-edition deep-blue, stainless steel Starbucks Card decorated with blue Swarovski crystals for $200. 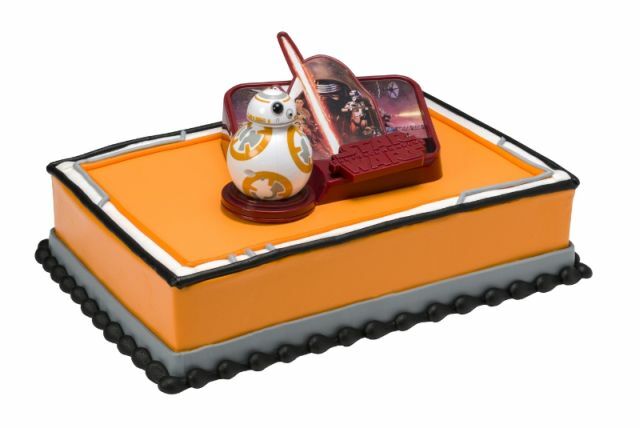 Looking to capitalize on the rampant demand of all things Star Wars leading up to the release of the new movie, Star Wars: The Force Awakens, this month, Baskin-Robbins is offering two Star Wars-themed cakes for those looking to celebrate. 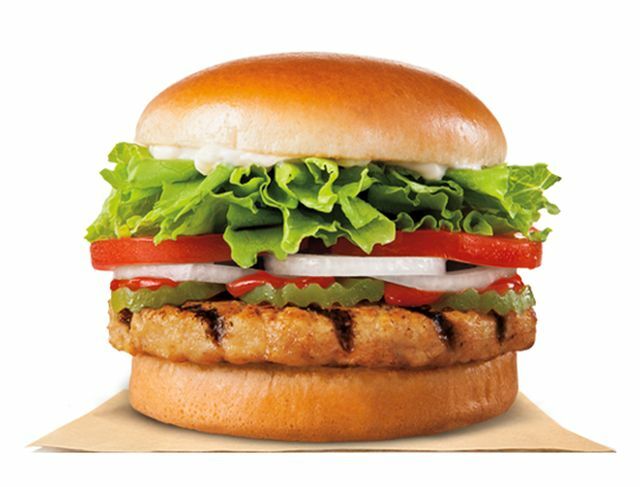 McDonald's semi-customizable Taste Crafted Burgers and Chicken menu is now available at McDonald's restaurants in their Southern California market (Los Angeles, Orange, Riverside, San Bernardino, and Ventura counties). 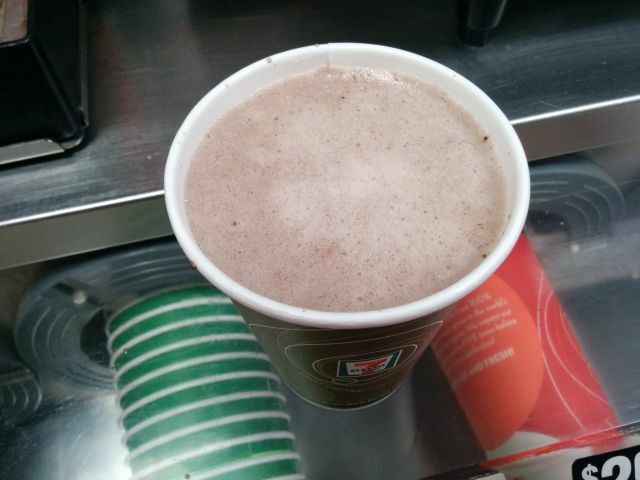 7-Eleven's Oreo Hot Chocolate features hot cocoa made with Oreos. 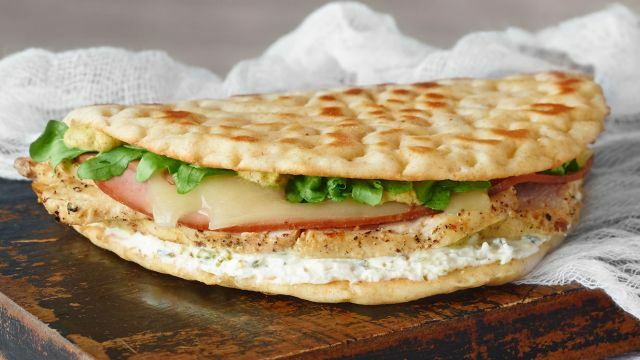 Panera Bread's 2015 holiday menu introduces a few new faces this year including the new Chicken, Ham & Swiss Flatbread. 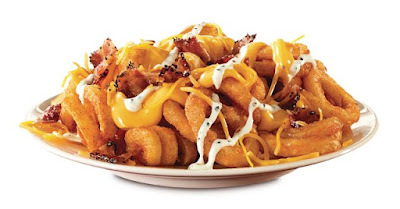 Wendy's Bacon Fondue Fries feature an order of natural-cut, sea salt fries topped with Swiss Gruyere sauce and bits of applewood-smoked bacon. 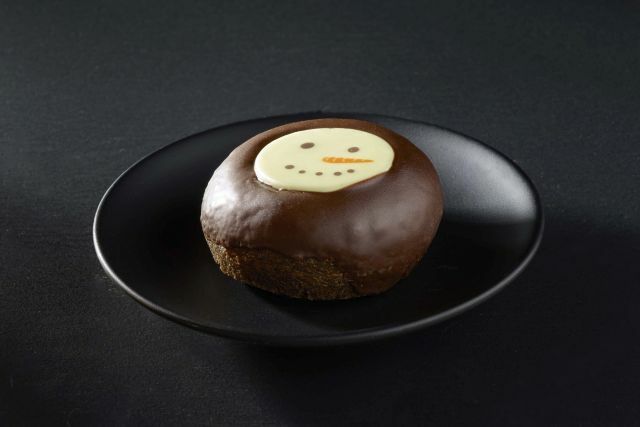 Starbucks stocks their bakery display with new Mini Snowman Donuts and Ugly Sweater Cookies for the 2015 holiday season. 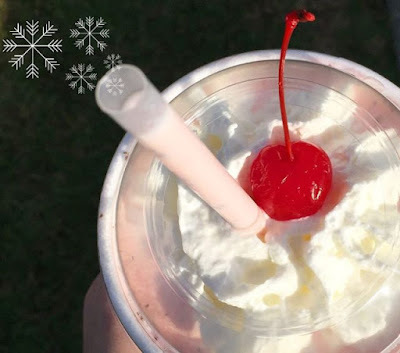 The Peppermint Chocolate Chip Milkshake and Chicken Tortilla Soup have made their annual return to Chick-fil-A.